An integrated, all-in-one enterprise SEO platform makes seoClarity a perfect alternative to Conductor. *Schedule a demo to gain free access to seoClarity for two weeks to compare to Conductor! 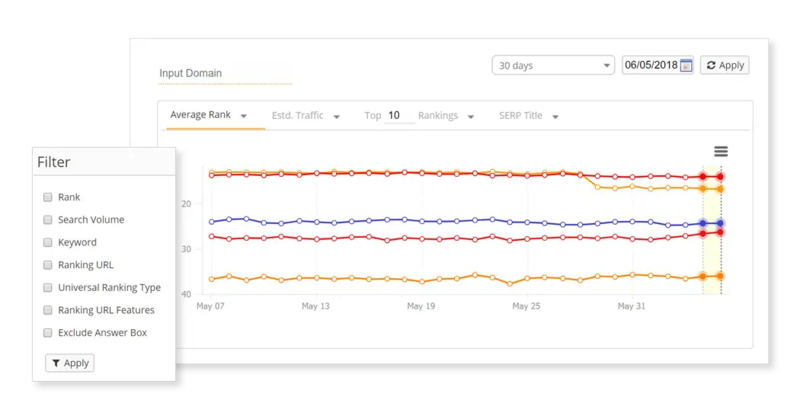 With a single-integrated and technologically advanced SEO platform, seoClarity offers a partnership to structure, simplify and scale your SEO program. 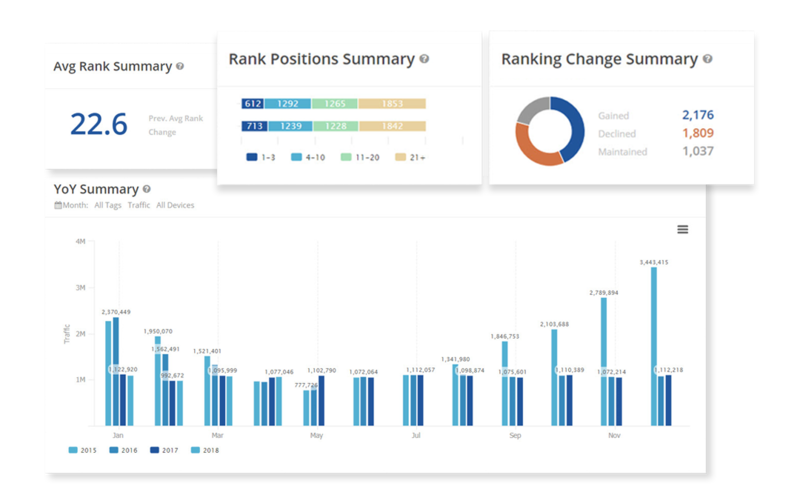 Single-Integrated Content & SEO Platform All the capabilities in a single platform Leverage an all-in-one SEO and content marketing platform featuring global rank-tracking, easy workflows, customizable dashboards, and a built-in content marketing suite for optimal performance. Breadth and Depth of Data and Insights Daily data updates with real-time analysis With no artificial limitations and full data transparency, you can slice, dice, and analyze your custom data in real-time. We even offer a SERP preview so you can confirm results anytime. All-Inclusive Pricing No surprises ever Simple, easy-to-understand pricing upfront so there are no surprises later. Plus, every managed keyword includes two search engine rank checks. Covering more than 80 countries, see changes to search visibility in real-time, powered by the largest, constantly-updated, community-contributed keyword research database. No other database compares. Leverage the power of deep-learning with a built-in AI-driven content writer and content analysis tools that show semantically-related content opportunities on any topic that reveals content ideas and content gaps. Daily updates to rank tracking in every country on every search engine integrated into the platform. Includes easy multi-domain roll-up for managing your search performance enterprise-wide. Over 3,500 brands, enterprises and agencies are growing their business with seoClarity. "Enterprises need to know how flexible, how robust, and how powerful seoClarity is. If you tried to pin it up against any other platform, there’s just no comparison." Schedule your demo and gain access to the full-platform for two weeks to test out a feature-to-feature comparison!